Following the evolution of technical objects over time generally reveals interesting matter. Philosophers such as Gilbert Simondon theorized a bit this issue and proposed that technical evolution shows phases of continuous progress (based on adaptation) alternating with other phases that he called "saturation" during which major improvement emerge as a reconfiguration of the structure (invention). Applying this to recent artifacts such as game console is quite interesting (yes game console are recent compared to the kind of technical objects philosophers take as examples). 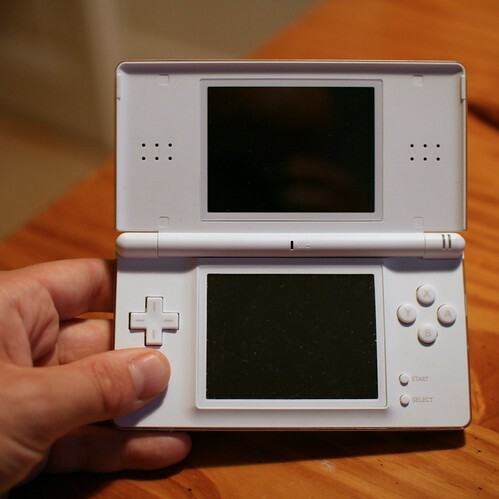 The Nintendo DS as a resurgence of the "game and watch" industrial design is a curious instance of such principles. 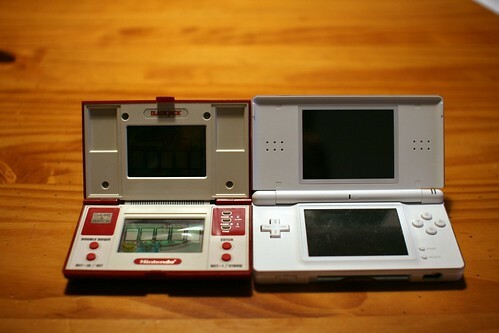 The dual screen, as well as the clam-shell platform (plus the A and B buttons) can be seen as the major characteristics of this resurgence. 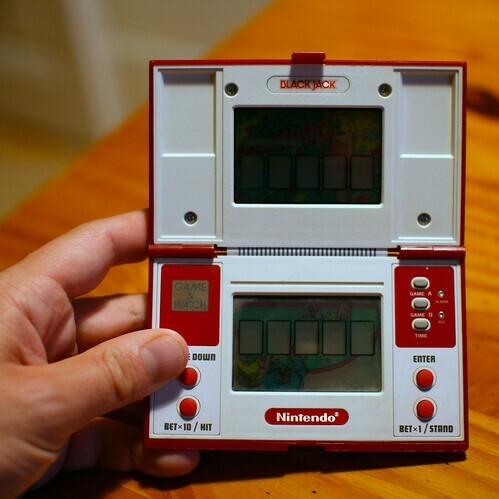 However, the D-pad is clearly an invention that appeared after the game and watch interface. There would - of course - be a lot more to analyze here. Why do I blog this? digging more and more into the philosophy of technical objects in conjunction with frequent visits to the flea market leads to fruitful thinking/discussions about design.